The following are some of the questions we typically hear from patients and families, near and far, who call us for advice and assistance. We are available to speak with you by phone, or in person, during an initial complimentary consultation. A Care Manager is a professional who coordinates medical care; personal care needs; medication monitoring; home safety and socialization, so that elderly individuals can remain in the comfort of home. Care managers work in collaboration with physicians; family members; trust officers; accountants; and others, to better serve the client. A Geriatric Care Manager (GCM) is a professional, such as a social worker or nurse, who specializes in assisting older people and their families achieve the maximum quality of life in light of individual circumstances. Who benefits from geriatric care management services? Elders who wish to remain at home despite illness/ impairments; relatives who are live at a distance; attorneys; accountants; court-appointed guardians and others. A companion/homemaker prepares meals, does light housekeeping and offers companionship. A certified home health aide is qualified to provide personal care, such as bathing, grooming and dressing. Home health aide certification requires completion of a 76-hour, nurse-supervised training program. There are no training requirements for a home maker/companion. How should I decide on a schedule for home care? Think about what time of day is most challenging for you and the older adult – a time when you most need assistance. 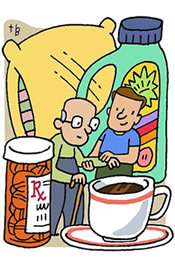 A set routine will benefit both caregiver and client. Make sure your needs are met, but be remember to remain flexible. The home health aide may use the client’s car to transport the client/and or to run errands; mileage should be reimbursed if the aide is using her/his own vehicle for instead of the client’s. Is food provided for the aide who prepares a meal for the client? This depends on the schedule and the needs of the client. If the home health aide is working eight or more hours a day, food should be included. Many clients enjoy sharing their mealtime with another. How are changes in the aide’s schedule, time off or pay changes, addressed? Please refer all issues of this kind to the agency, which is the employer. What is the role of the Registered Nurse in the care plan? 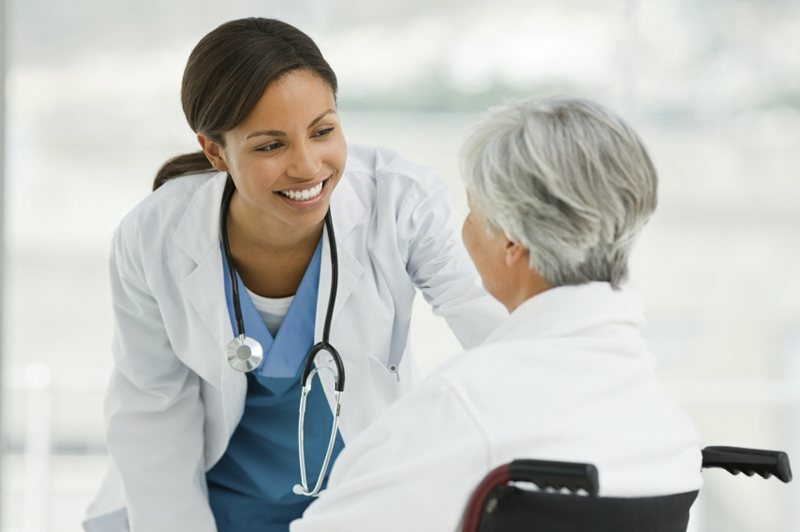 The nurse is responsible for: seeing the client once a case is opened; conducting a health assessment; reviewing all medications; reviewing the care plan on an ongoing basis; supervising the home health aide. By law the nurse must conduct a home visit every other month, and must make a supervisory phone call on the alternating months. Agencies may offer additional nursing visits, as required; fees apply. Does a home health aide do house cleaning? You can expect an aide to perform light housekeeping as it relates to the client. For example, if a bath is given to the client, the aide will clean the tub or clean the kitchen area after preparation of a meal. Home health aides are not housekeepers. To avoid any misunderstanding, it is best to make sure the client understands the difference. I am considering a private hire as a companion for my mother. What are my tax obligations? You are responsible for making Social Security (FICA) and Medicare tax payments. This includes withholding the employee’s share, as well as matching that amount, as the employer. You as the employer will also pay the Federal and state unemployment tax. As the employer, you and the employee need to discuss any arrangements regarding state and Federal income tax withholding. It is always a good idea to consult with an accountant in these situations. Yes, providing you maintain adequate documentation and pay all of the appropriate taxes either through an agency or on your own. Home care will qualify as a medical expense; once again, consult your accountant for details. What if my loved one and the aide are incompatible? Allow for an adjustment period. You can ask the agency to help clarify the role of the home health aide with the elder. If problems persist request another home health aide. Garden State Eldercare bills for services an hourly basis. Home care and care management services are priced separately. Fee schedules are available on request. Garden State Eldercare will coordinate billing for long-term care insurance but does not accept assignment of benefits.